Welcome to the Ritmo Calypso website. 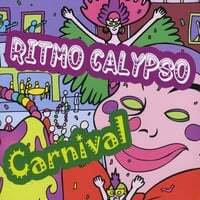 Ritmo Calypso of New Orleans creates songs that are a fusion of calypso, Jamaican mento, and New Orleans jazz. The band’s repertoire features traditional Jamaican songs from the 50’s and 60’s. The band's cd, Carnival, has traditional Jamaican songs as well as originals. Our Bio link has more band & personnel info. Bienvenido! Hay más información disponible en español en bio link. Escuche a canciones en music link. Click on the bio link for more detailed band and music info. Ordene y compre el CD o MP3 en esta pagina. Las canciones son una fusión de estilos de Jamaica y jazz de Nueva Orleáns. Disfrute! PURA VIDA!